Presented by CIPS, the Baha’i Community of Ottawa and The Philippe Kirsch Institute. Free.In English with bilingual question period. Registration is not required. Seating is limited and available on a first come, first served basis. Snacks and refreshments will be served. Some have suggested that the decline of American power signals the end of the human rights era and the “civilizing mission” of the Western “secular religion”. This assumes that such values are “foreign” and would otherwise not have any resonance in the Global South. It also fails to recognize the complexities and contradictions of societies in an historical transition to modernity. In its seemingly anti-hegemonic discourse, it replicates colonial-era exoticized images of “oriental despotism” and fatalistic non-European traditional cultures. A better approach is to understand the connection between the respective ideologies of liberalism and consumerism, and the dialectical relationship between homogenization on the one hand and violent particularistic identities on the other. Instead of a retreat away from human rights, the challenge in the years ahead will be to expand our understanding of dignity beyond formal norms and institutions towards deeper spiritual understandings of justice, community, and belonging. 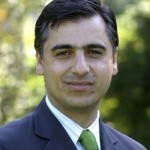 Payam Akhavan teaches in the McGill University Law Faculty and is currently a Visiting Fellow at Oxford University. He was formerly a UN prosecutor at The Hague, appeared as counsel in leading cases before international courts and tribunals, and worked on human rights issues in conflict zones around the world.